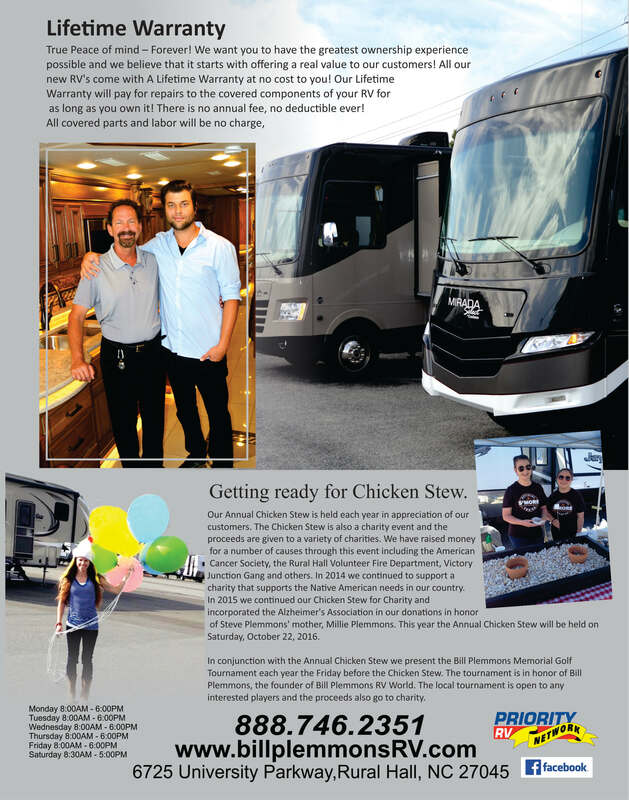 We Are Bill Plemmons RV World! 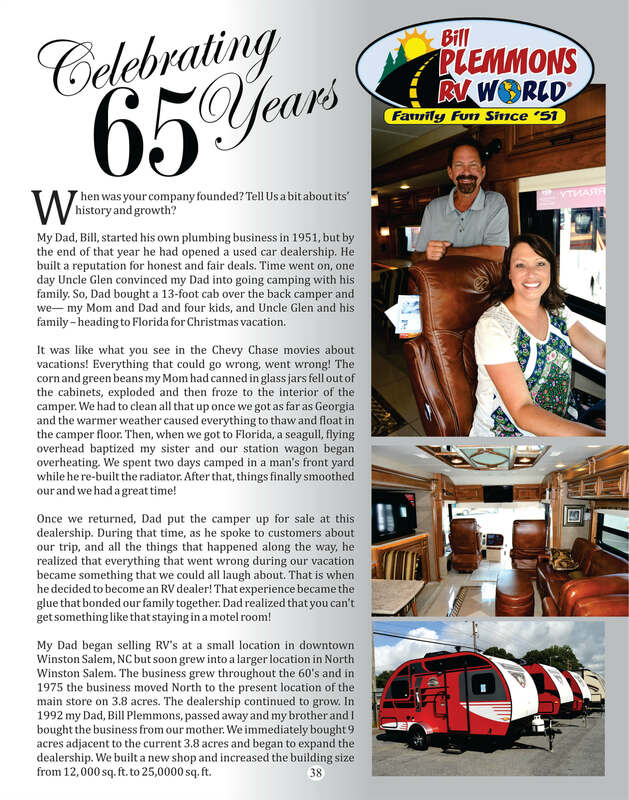 Hi, I'm Steve Plemmons and I've been in the RV business for more than 50 years, starting when I was eight years old. Now with my son Sterling, and daughter, Shawna, and a staff of over 80 associates, we carry on the tradition of my father. At Bill Plemmons RV World in Winston-Salem and Raleigh we remain dedicated to the RVer and the principle of customer service and satisfaction with over 57 acres and two locations to serve YOU. 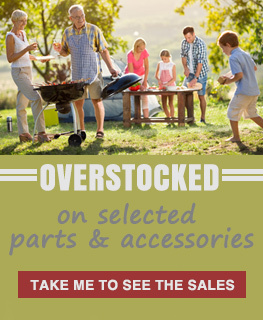 We maintain over 500 RVs in stock at all times. We carry only the brands ranked highest in customer satisfaction, brands that have stood the test of time and been in business for many years. The dream of my father lives on today as we help others experience and enjoy the adventure, the camaraderie, and the family togetherness that comes with the RV lifestyle. As Dad recognized and embraced in 1951, we are in the busy of selling FUN! 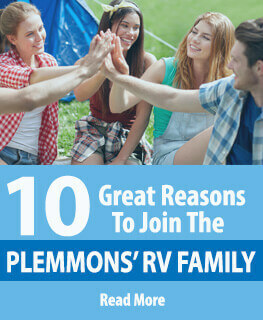 Today we are proud to invite each of you to come and be a part of our RVing family. After all it's Family Fun Since 51'. Here at Bill Plemmons RV World our knowledgeable professional sales staff will not use high pressure sales tactics. 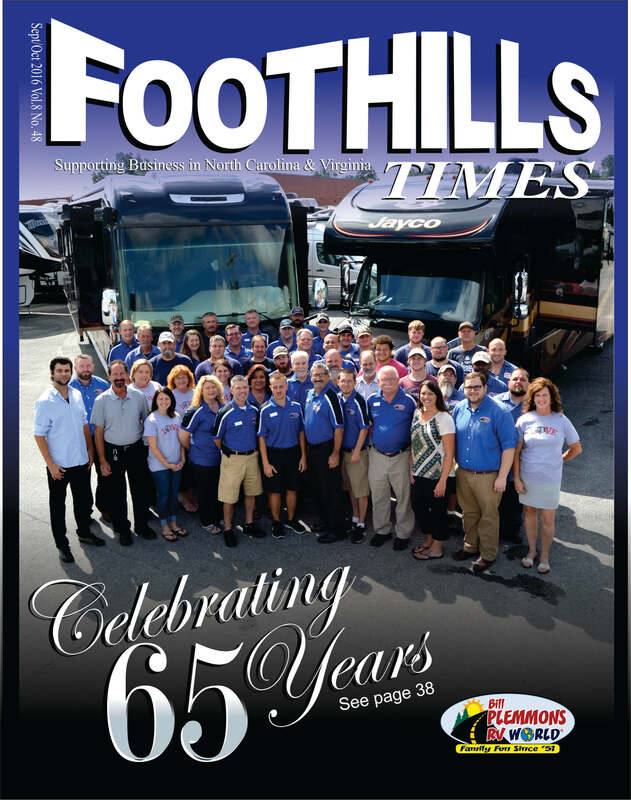 Whether you are looking for a new or a used motorhome, travel trailer, fifth wheel, toy hauler or pop-up camper, we believe in helping our customers make the right decision based on their family needs, travel needs, their budget and even their tow vehicle. If you are not happy, we are not happy. 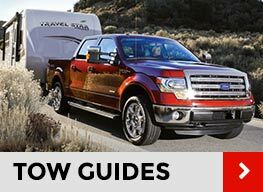 Our goal is to help you select an RV that will bring you pleasure and comfort and adventure for years to come. Family Fun Since '51.